This flights starts from Tribhuvan International Airport and takes you towards Chomrong which is located at a height of 7,800 feet. 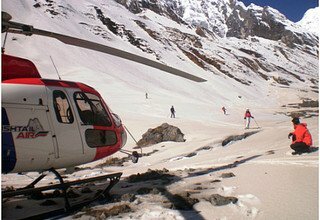 After landing at Chomrong you head towards the Annapurna Base Camp which is approximately two days trek from there. You will enjoy the most scenic view as you inch your way towards the Annapurna Base Camp. 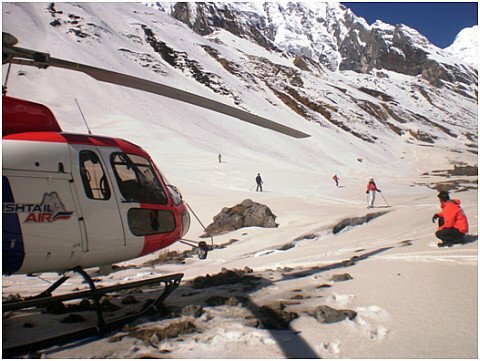 On the fourth day or any day the client requests, our Helicopter will pick you up from the Annapurna Base Camp and fly you back to Kathmandu via Pokhara.